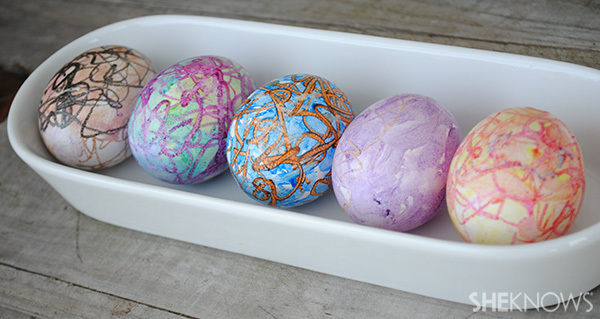 Creating colorful eggs is a fun tradition that many kids enjoy as Easter approaches. A basket filled with eggs of varying hues can make a gorgeous centerpiece and is the ideal reminder that spring is on its way. In looking for new and unique ways to create a little masterpiece on our eggs, my kids and I decided to use crayons instead of the traditional food coloring or store-bought dye kits. I have to tell you, the result was unexpectedly awesome! Have you ever felt that the traditional food coloring or dyes don’t create an intense enough color? Yes, you can leave the eggs in the dye-filled cup for hours, but what child wants to wait that long? With the technique of using melted crayons, the color can be as bright (or subtle) as you’d like, and the result is instant. 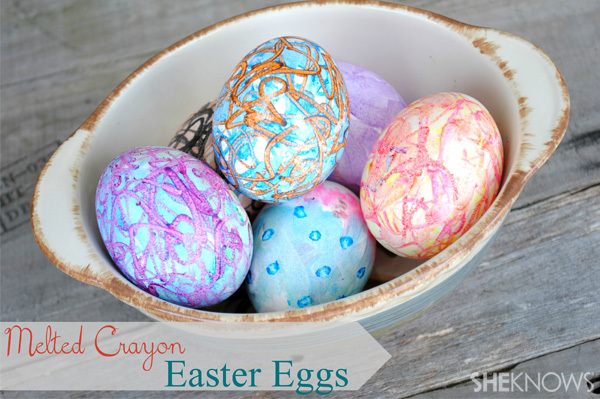 Here are the steps I took with my kids to create colorful Easter eggs using melted crayons. 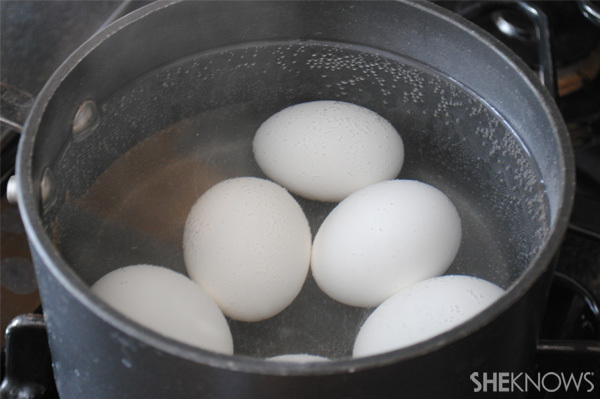 Put the eggs in a pot and fill the pot with cold water so it covers the eggs about 1 to 2 inches. Once the eggs come to a full boil, remove the pot from the stove and cover it for 12 minutes. Carefully remove the eggs from the pot and let them stand for about 1 to 2 minutes (the eggs will be very hot, so be sure to use tongs when removing them from the pot). 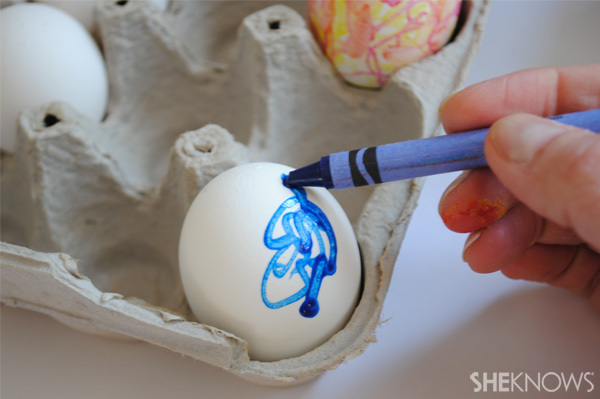 Using crayons, start drawing on your eggs. Be creative. Get the kids involved. It’s a lot of fun to try different patterns and to mix the colors. For our eggs, I used one color as the base, then added another color on top. I smudged in the background hue, which gave a fun, swirly look. Because of the hot exterior of the egg, the crayon will melt on the egg’s surface. Once your masterpiece is finished, gently place the egg into the original egg holder and place it in the refrigerator. After a few minutes, the eggs will be cool and can be handled and displayed as you’d like. They’ll make a beautiful addition to any centerpiece, paired with other Easter decorations or simply on their own.